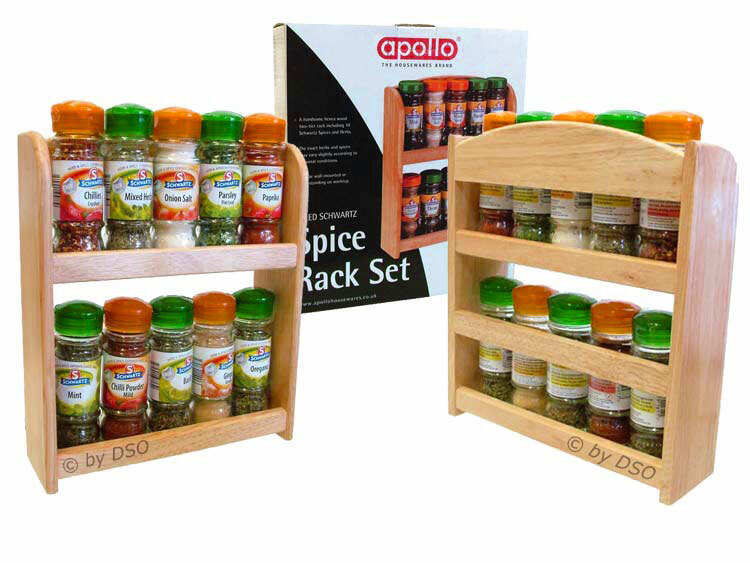 Spice up your kitchen with this spice and herb set. A two shelf constructed wooden spice rack. An ideal accessory for any kitchen worktop and a great gift or housewarming present. Can be attached to a wall or used free standing. Included with this item are 10 x Schwartz assorted spices and herbs in glass containers for freshness. Whilst extra care is taken during the packaging process, due to the nature of materials used in the manufacturing of this product, we cannot accept liability for damage that may be caused during transit. All products carrying this disclaimer are pre-checked and where necessary, added protection is introduced prior to packing and despatch.